BRUSSELS -- The European Union made a key breakthrough on Friday to completely ban pesticides that harm bees and their crop pollination. The 28 member states got a large majority, representing some three-quarters of its population, backing the ban on the three prevalent neonicotinoid pesticides which will take effect at the end of the year. The decision builds on a limited ban which has been in effect since 2013. Antonia Staats of the Avaaz campaign group called it a "beacon of hope for bees. Finally our governments are listening." Over the past several years, there's been an alarming drop in bee populations and there were fears it would start to seriously affect crop production since bees are necessary for the spread of pollen and reproduction. The EU says it used a scientific review to identify pesticides as one of the factors causing the decline along with disease and climate change among others. 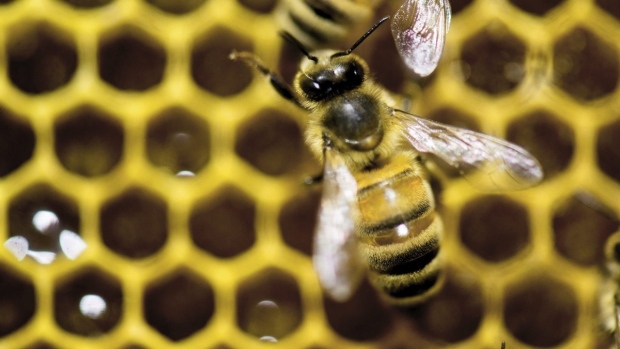 Swiss agribusiness company Syngenta called the decision "disappointing" and added that "evidence clearly shows that neonicotinoids pose a minimum threat to bee health compared to a lack of food, diseases and cold weather." 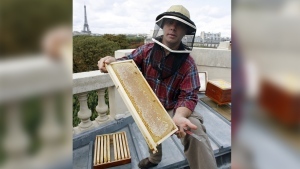 "There is abundant evidence from lab and field studies that neonicotinoids are harmful to bees, and a growing body of evidence linking them to declines of butterflies, aquatic insects and insect-eating birds," said Dave Goulson, biology professor at the University of Sussex. "The EU decision is a logical one," he said. The European Commission is set to adopt the decision in the next few weeks and the ban will kick in by the end of the year. The three pesticides will only be allowed for use in greenhouses where there is no contact with bees. EU nations, environment groups and industry have been bickering over the issue for almost a decade now.